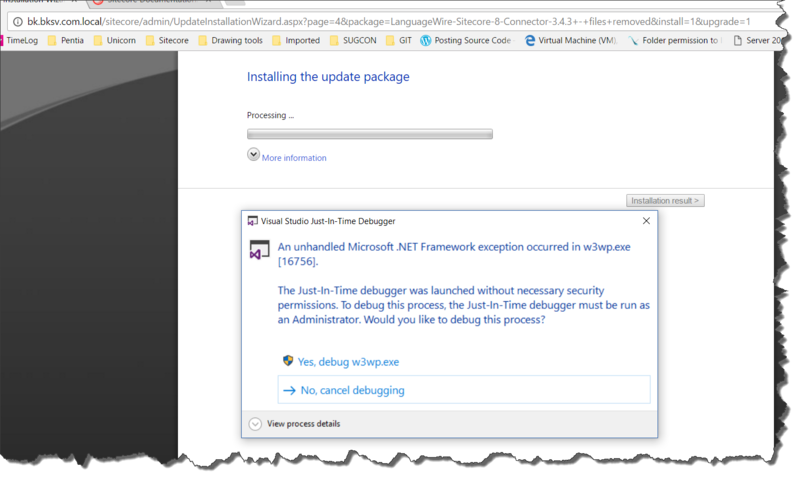 Whilst installing an update package on the client’s/customer’s development environment the ASP.NET worker process would be killed suddenly. 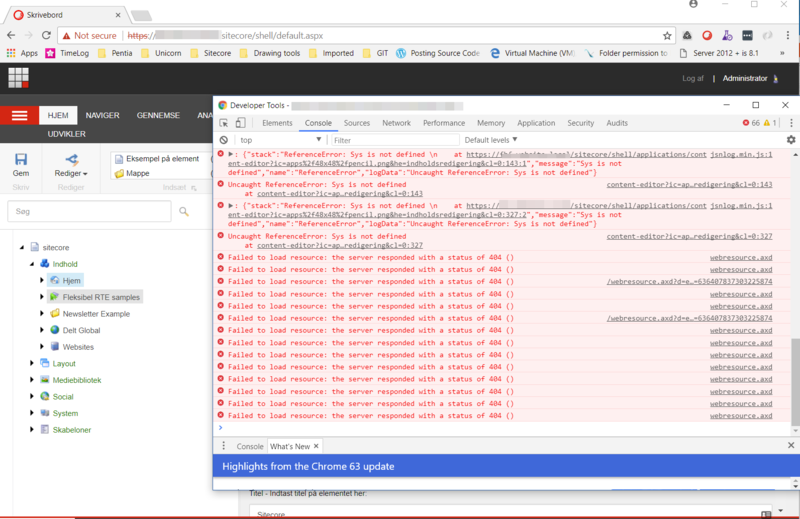 This issue was found on Sitecore 8.1 Update 4. There was nothing shown in the Sitecore log or in the windows Event log. Therefore I took a Memory dump and investigated the dump using Debug Diagnostic 2 . I found at the bottom of the report 100000’s of lines with the same 4 lines of text, so I assumed there was an infinite loop, which was responsible for using all the memory, and crashing the ASP.NET worker process. showconfig.aspx confirmed this as you can see below. The first was caused by an error in the solution specific configuration, the remaining were caused by 2 Sitecore includes having the same setting. Ensure no settings and or other configuration is duplicate. 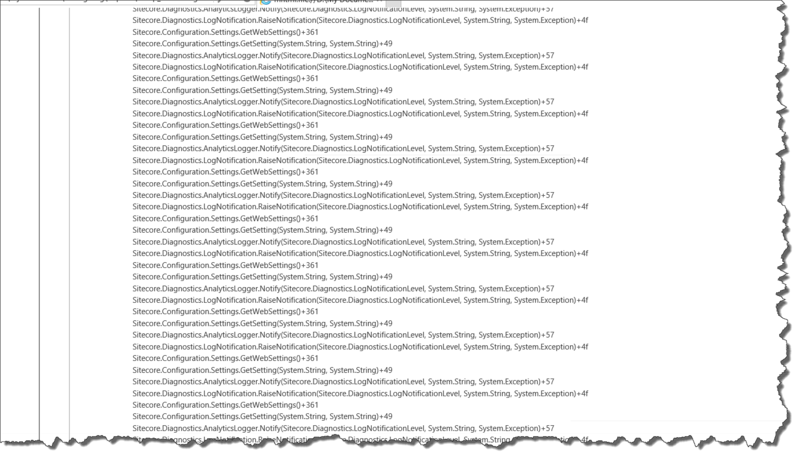 Typically after I found out what the error was I discovered that Sitecore writes a warning in the log file! Maybe I should pay more attention to warnings. This entry was posted in .Net, Sitecore and tagged asp.net, Error, IIS, sitecore 8 on January 20, 2017 by Alan Coates. Sitecore – RebuildSearchIndex|System.FormatException: Unrecognized Guid format. After upgrading from 7.5.141003 to 7.5.150130, when I tried to rebuild the search index or the Link database I got the System.FormatException: Unrecognized Guid format after sometime! Uli (@UliWeltersbach) had already written a great blog post about this exception and how to find the items causing the issue and how to fix the issue. 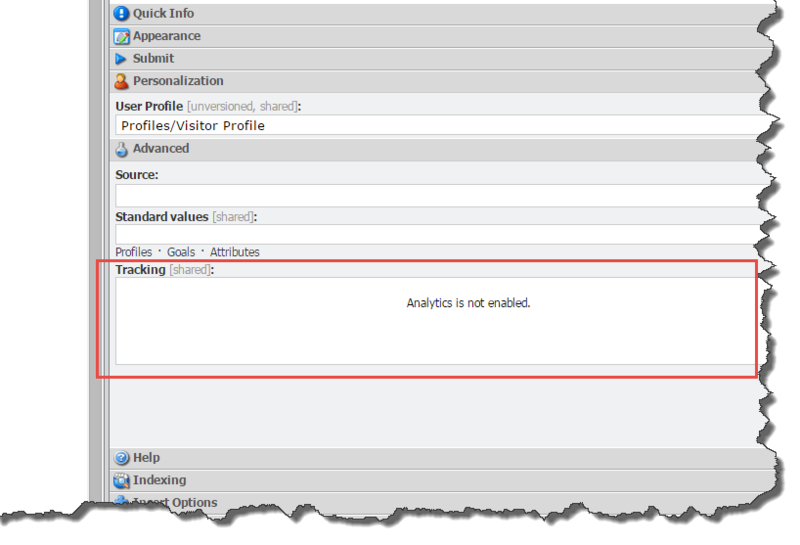 I would recommend you read Uli’s blog, but here is the quick version – The exception is caused by an error in the _tracking field used by the Analytic’s engine, which is very strange as the website has disabled the Analytic’s, see below? Analytics is disabled, so why when I try to save the item to I get the following exception??? As I am not a very trusting person, I swapped to using raw values in the content editor and I could see that there was in fact data in the __tracking field! Initially the website did have analytics enabled I guess, but as some point it was disabled. The site was upgraded from 6.4 to 7.5 and somewhere along the line one or more of the update packages form sitecore did not update the __tracking field as analytics was disabled. Therefore the old contents in the __tracking file were not in the correct format and caused the exception. In my case deleting the contents was enough to fix the issue. Another approach is to enable analytics edit the tracking field and save again, and it is converted to the correct format. 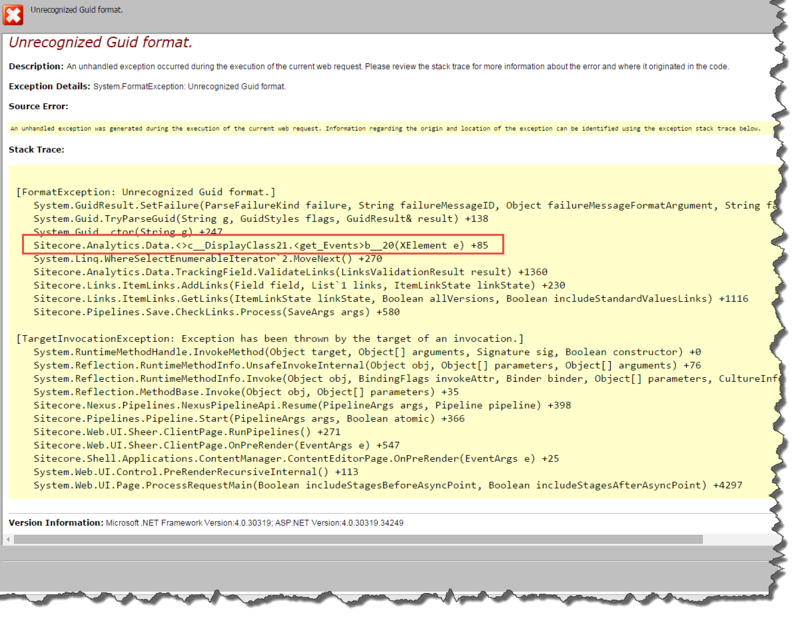 This entry was posted in .Net, analytics, FormatException, Sitecore, Unrecognized Guid format and tagged analytics, FormatException, Link Database, Lucene, RebuildSearchIndex, Search Index, TrackingField, Unrecognized Guid format on June 4, 2015 by Alan Coates.